Being a historian of the Industrial Revolution who lives in the 21st century involves thinking about two worlds whose economic geography has reversed. Eighteenth and early nineteenth century industrialization was concentrated on the coalfields of northern England, central Scotland, southern Belgium and to a lesser extent northern France. Manufacturing expanded in these same regions into the twentieth century and, along with the German Rhineland, these became Europe’s industrial heartland. I cannot speak to the German case, but the steel mills, coal mines and heavy industries of the other regions declined and often disappeared in the 1970s and 1980s. Thus, I write about the economic ascendency of Yorkshire when for my entire lifetime it and similar regions have been associated with economic decline, unemployment and population loss. Yorkshire, Hainaut and the Nord-pas-de-Calais are among the traditional industrial regions of England, France and Belgium. Inside those countries, all of them are associated with traditions of heavy industry, air pollution and the more recent effects of de-industrialization. All three regions suffered with the loss of heavy industry in the 1970s and 1980s, but their fates over the last twenty years have been quite different. These differing fortunes offer insights into the long-term effects of government investment and austerity in depressed economies. 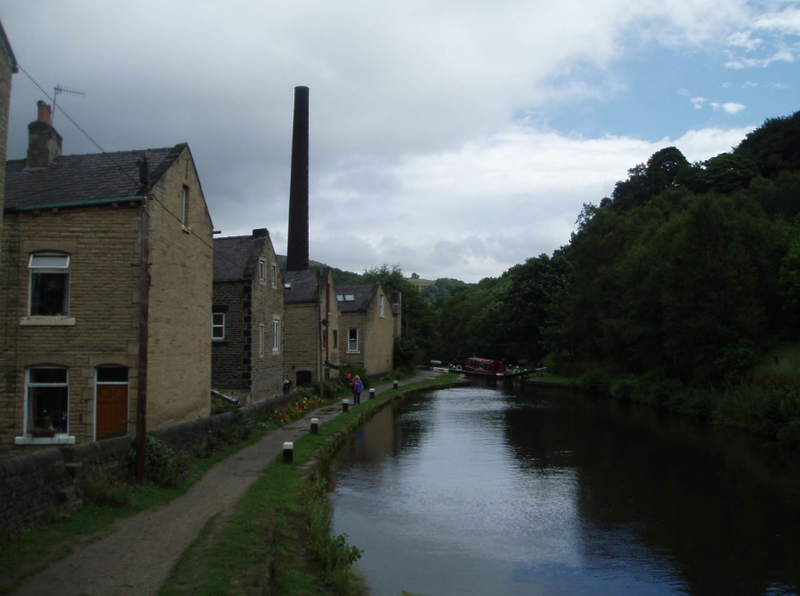 Yorkshire is a large county in northern England that was formerly the main centre of woollen textile and steel production, with a significant coal industry. The coal and steel industries disappeared in the 1980s and 1990s, while the textile mills have also declined. The main industrial districts of Yorkshire have also consistently voted for the Labour Party since 1992. In the general election 1997 election, the Labour Party won every seat in West Yorkshire and all but one of the seats in South Yorkshire. When Labour formed the government in 1997, it was faced with a country that was increasingly divided between a deindustrializing north and a financial-sector dominated south. New Labour sought to reduce the growing North-South divide and improve circumstances in the former industrial regions. Some of this was through Regional Development Banks and attempts to investments in education. Meanwhile, their general economic model consisted of taxing the salaries of bankers in order to fund public services and infrastructure in other regions. This led to a major improvement in the National Health Service, as well as impressive public infrastructure in every northern English city. New Labour is generally criticized for insufficiently regulating the financial sector and invading Iraq, but its initiatives helped to reverse twenty years of decline in Yorkshire. One indication of its successes is that despite a serious recession and government austerity, the unemployment rate in the larger region of Yorkshire and the Humber is currently 8.9%. Although this is still high and many people are concerned about their prospects, Yorkshire is not suffering an economic depression and its resultant social problems. The situation is fairly different in Hainaut, the former coal and steel manufacturing province in French-speaking Wallonia. Its economic decline occurred in the same decades as the Belgian political system fractured along linguistic lines. French is the main language for forty percent of Belgium’s population, and is the dominant language in Brussels and Wallonia. Meanwhile, Dutch is the dominant language in Flanders, which accounts for roughly sixty percent of the population. Belgian language politics are divisive and contentious to an extent that most Canadians find difficult to comprehend. In the 1970s and 1990s, the three major political parties all split into two along linguistic lines, so that there are now separate Flemish and French Christian Democratic Parties. Meanwhile, Belgium became a federal state in 1993 with strong regional governments for Flanders, Wallonia and bi-lingual Brussels. Regional governments have been given jurisdiction over most internal policies, so the result has been the downloading of services onto Wallonia in the same decades that the decline of heavy industry reduced its government’s ability to pay for them. When it comes to electoral politics, one of the main issues in Belgium involves the country’s continued existence. Linguistic divisions are such that there were no francophone prime ministers between 1979 and 2011. The party with the most seats after the 2010 election are the secessionist Nieuw-Vlaamse Alliantie. Secession is popular partly because the now-wealthier Flemish regions do not want to pay for social services for poorer francophones. In contrast to northern England, recent Belgian governments have not had a particular desire to deal with the effects of Walloon deindustrialization. The result has been continued high unemployment and a waste of human ability. It was seen as good news in early 2013 that sustained growth since 2007 led to the Hainaut unemployment rate finally dropping below 20%. Enough people have left the workforce that 20% unemployment underrepresents the depressed state of the provincial economy. There are some differences between Hainaut and Yorkshire’s deindustrialization that did not involve the relative interests of national governments in their plight. For that reason it is probably worth comparing Hainaut to the neighbouring Nord-pas-de-Calais region in France. Although it also suffered from the loss of coal mines and declining heavy industry, it was not a linguistic minority and did not have services downloaded at the point when its regional government could least pay for them. Currently its unemployment rate is 11.7%. The fate of these three regions has been different because Yorkshire and the Nord-pas-de-Calais are in countries whose governments have been concerned about regional unemployment while Hainaut lacked such benefits. Hainaut has now had at least one generation that lacked opportunities, creating despair and the waste of human ability which result from sustained unemployment. In its case, the creation of regional governments and language politics prevented the government investment which could have mitigated its industrial decline. In the 2010s, austerity threatens Latvia, Greece, Spain and Portugal with similar problems. The relative fortunes of Yorkshire, Nord-pas-de-Calais and Hainaut should serve as a warning against such policies in Europe and beyond.